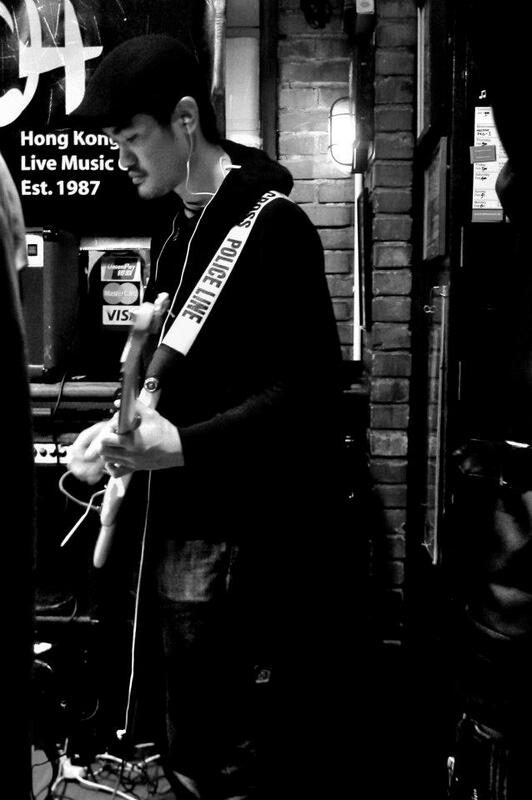 Eric Wong, guitarist and computer musician, was born 1981 in Minneapolis, MN, grew up in Hong Kong. 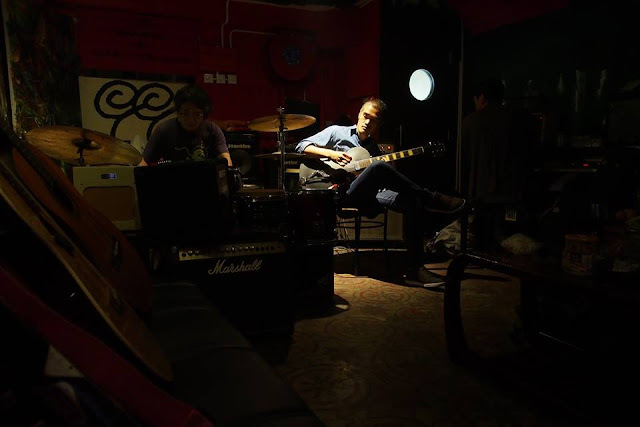 Musical projects he is also involved include rock duo Meta Fog with Sascia Pellegrini patchworking pop culture montage, musical collective Stoic Strangers with Wilson Tsang plus other Hong Kong based musicians, and Se Noh Te with Eunice Martins. Eric is now based in Berlin. His first solo release YYSSN has just come in Creative Sources Label. What do you remember about your first approach to music? I took some piano lessons when I was about 4 or 5. All my cousins learned piano and I thought it was a normal thing to do so I asked my parents if I could learn, but then I gave up few months after. Afterwards I started mimicking guitar solo with my voice because I thought the high energy of guitar solo was pretty cool. I started playing guitar as a teenager, and like many guitarists I started with rock music. What got me into playing was a Japanese band called Luna Sea, and my first guitar was a cheap version of what their guitarist was using. I was also indirectly but largely influenced by the early Gang of Four, when I first heard of their music I was really surprised how much my influence could trace back to them. The influence of rock music still lingers, when I improvise there is a lot of rock elements in my playing. I started listening to glitch music and granulated sound few years ago, and I always try to create such sonic quality on the guitar, both acoustically and with the help of sound processing. I don't remember exactly which was the first, but very likely to be Radiohead's "OK Computer". The last record I bought was "Illusionary Sea" by Mary Halvorson Septet. Tell me some musical works which has provoked a change in your music. Tom Rainey Trio's "Pool School". 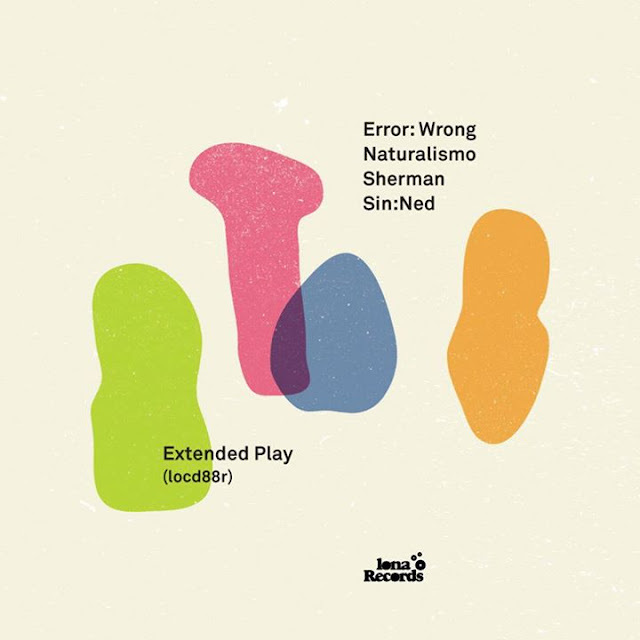 I was musically lost, I needed a change but didn't know what to do next, then I stumbled upon a review of this album. After listening to it I figured that could be a new direction for me to approach. I was also stunned by the recordings of Derek Bailey, Peter Brötzmann, Anthony Braxton, and Bill Orcutt's during that time. The good side of it is that it democratizes music, both making and listening, and it makes it so much easier to spread your music further. The flip side is that it also gives an illusion to many thinking making music is very easy; it is like with so much information floating on Facebook, people start to think they know everything. But I believe digital music could be a very powerful tool if one could take a good advantage of what it has to offer. I have received many great advice from people around me, but there are a couple of them really changed my perspective as a musician and as a person. One of them was from my teacher Ulf Langheinrich, who was teaching in Hong Kong when I lived there, I wasn't officially an enrolling student in the school but I sat in his lectures for the whole semester. One day I asked him how he maintained his arts being in Hong Kong, which was almost a pure financial city, and he told me he was always himself. It wasn't a direct advice but that made me rethink how I should relate myself to any environment I am in. Another was from double-bassist Klaus Kürvers, whom I also admire a lot. I moved to Berlin last year, and this city is where one could easily get overwhelmed by the crazy amount of great events and opportunities everywhere, a luxury not usually seen in many other cities. For that, Klaus told me we should stick with what we have chosen. Sounds simple but I think it is easier said than done, and it is especially significant nowadays as we can take in anything from the internet with just a few clicks. We are getting less and less patient. I was recently playing in a duo with clarinet player/electronic musician Wojtek Bajda (aka Ching Liu) who also played noise. 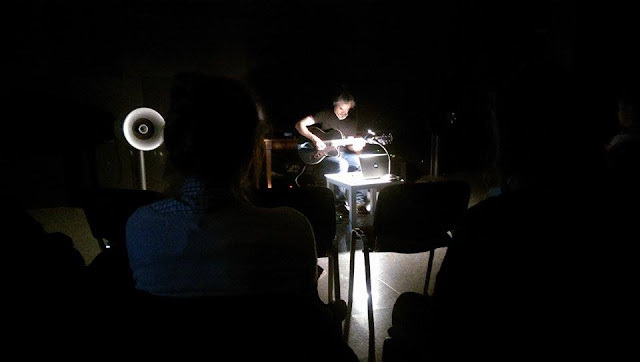 I was never really into noise music, but we ended up having some noisy moments and I had a lot of fun, there were lots of great interactions and dynamics within. I enjoy working with dancers a lot. To me dance and music see things from very different perspectives but they always cross each other's path. I have also done acting for short films and music videos directed by some filmmaker friends of mine, (one of them being a music video for my band Meta Fog) and I quite enjoyed it. It feels like listening to my own voice and I would pick on mistakes here and there, but on the other hand I am always curious about how I did. I would listen to them at least several times, and it is always delightful when there are moments I could say to myself "it sounded pretty nice". A good command of the instrument is always important. Not that everyone has to be a virtuoso shredding like crazy or able to improvise over complex changes that occur on every given beat, but at least we as musicians need to have sufficient skills to say what we want to say with our instruments. What quality do you most value within a musician? I play with my Gretsch G100CE, and I go through Ableton Live for sound processing. I built a couple of patches with Max for Live, one of them a delay that generates echoes in random pitches; another an FM modulator although I mainly dial it down to vibrato. I also use a couple other patches I found on the internet and some Ableton devices. 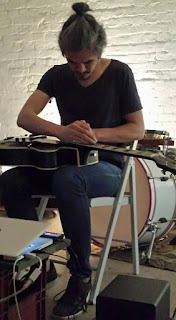 I do not prepare my guitar so much with physical objects, except for two little cymbals I hover above the pick up or scratch the strings with, then I would process the sound with those patches. I recorded myself muting a string in different ways and the result was pretty pleasant, since then I have been trying to play without pressing down the strings to the fretboard, which either produces percussive sound or harmonics depending on where I place my fingers on the strings. I have also been trying to position my finger tips in different angles on the strings to create different kinds of buzz. Let's see how these ideas lead to something new.